Before I launched my last indie published book, I waffled a great deal about whether or not to make it exclusive to Amazon. I first wrote about my concerns here on this blog, and then shared further research over at Author’s Speak. 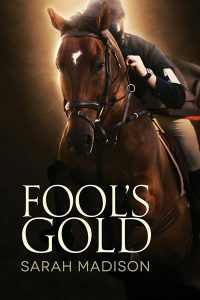 In the end, however, it came down to not having enough practical experience to justify not giving the KDP select program a try–and on July 29th, I launched Fool’s Gold on Amazon and Kindle Unlimited for a 90 day trial. In almost every respect, I handled its release the same way I did any other launch of a new story written in collaboration with a publisher. I talked it up beforehand. Because it’s an Olympic-themed story, I timed its release with the 2016 Rio Games. I did an enthusiastic cover reveal (c’mon, this cover by Reese Dante is simply *gorgeous*, isn’t it?). I promoted it with several social media groups and did a book tour. None of this is any different from how I’ve handled most of my book releases in the last six years. It’s a contemporary romance. I tend not to write these very often because what I love best is the mix of romance and mystery, or romance and the paranormal. I love the twist that these elements bring to a romance, as well as the built-in level of conflict such subgenres create. But it’s widely accepted that the straightforward contemporary romance tends to outsell the other subgenres, so yeah. This one was different from my usual fare. As an indie publisher, I set my own price. As such, I set it well-below the industry standard for books published through a publisher, however, on the advice of several people, I priced it at what seems to be the industry standard for an Amazon published book. Which is to say, almost half of what most e-books run these days. I published it exclusively through KDP Select for the first 90 days. The first thing that happened is that Fool’s Gold broke the top 100 in its category on Amazon. It never got much past #60 on this list, but it did make the list and stay there for longer than my usual run. In fact, Fool’s Gold enjoyed top 100 status for almost 30 days before it suddenly crashed–I have come to find out that this is referred to as “falling off the Amazon cliff” and that it happens to nearly everyone at the 30 day mark because Amazon stops promoting your book as heavily then. Subsequent marketing through Amazon got me a modest bump back into the top 100, but it didn’t last long. The second promotion didn’t have any effect at all on sales. 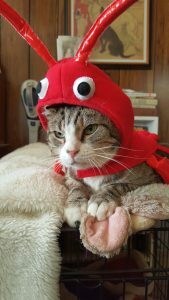 Now, I spoke of my many reservations about going with KDP Select in my previous posts, and in my Author’s Speak post, I shared some real horror stories. But prior to the sudden drop-off in sales, I was delighted with how FG had been doing. I found it nearly impossible to tell how much I was making from the KU side of things though. That may well be my fault–I’m not good at making heads or tails of reports at times. But one of the things that concerned me was the constantly changing TOS as well as the change to being paid by the number of pages read instead of by the number of books downloaded. Someone could download a story through KU and not read it for months. Or they could only read a quarter of it and stop. Kind of discouraging, particularly since it was kind of sketchy as to how Amazon determined how many pages were being read… then came the news that the news Page Flip option, a piece of software introduced for reader convenience, prevents Amazon from accurately recording the number of pages read. You know, the thing they use to pay authors. I have to say, this new bit of information was enough to make me pull FG from the KDP Select enrollment when its 90 days were up. I now have it available in different formats on multiple sites. However… I just got my royalty statements for this past quarter, and despite the fact I haven’t had a new release with my own publisher this past quarter (heck, not even this past year) my sales were up. WAY up. As in, I must have received a boost from FG being so visible and purchased by so many people–and they enjoyed it enough to check out my backlist. I’m probably going to continue a hybrid model for the future. I will continue working with my publisher–they provide so many wonderful things that I have to outsource and pay out of pocket to receive as an indie author. But once a year, I think I’m going to self-publish something. Will I enroll in KU again? Not sure. We’ll see if Amazon can work the glitches out. Especially since, in their zeal to prevent people from scamming the system, they seem to keep catching up innocent people in their widespread nets. If you’re looking for a good summation as to how KU works for authors, I thought this post explained things well. This entry was posted in Uncategorized and tagged #MondayBlogs, gay romance, kindle, kindle unlimited, male male romance, Sarah Madison, writing by Sarah Madison. Bookmark the permalink. Great post, Sarah. Thanks for the report. I have wondered about this service, and whether I, as an author would benefit by self-pubbing something through KU, in particular. I’ve also wondered whether I as a reader would be hurting authors by signing up for it. I’d love your opinion on that second part, if you’d be willing to share? Also, is there anything that limits an author from pulling the book after the 90 days? Yes, that’s the kicker, isn’t it? To me going with KDP Select is a lot like feeding virgins to the dragon to save the village. Eventually, you’re going to run out of virgins and the dragon is going to OWN you. And yet it’s a tool like anything else. You can’t let it be the master over you. Once you’re out of KDP select, you can offer the book on any site you like. You have to pay attention to the 90 day window though–if you don’t watch out, it will automatically re-enroll you and if you opt out too soon, Amazon will stop promoting it. While you’re in KDP select, you can only offer it digitally through Amazon (but you can have a print form out there.